If the feel of sandy shores, the sound of the ocean, and the peacefulness of oceanfront living are the backdrop to your dream home, explore the extraordinary waterfront properties of the Forest Beach area. It offers the best of everything – from white, sandy beaches, convenient shopping and dining, to villas in quiet residential areas, on and off the ocean. 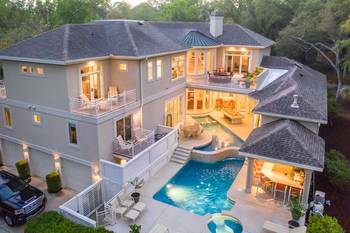 The three-mile Forest Beach area, comprised of the North and South residential areas meeting at Coligny Circle, is one of Hilton Head’s oldest neighborhoods. Coligny Plaza is the closest thing Hilton Head Island has to a downtown. The plaza, Hilton Head’s first shopping center, has over 50 retail stores and restaurants. The main attraction to Forest Beach is the closeness of beach access: each lot in the Forest Beach area is within 600 yards of the Atlantic Ocean. 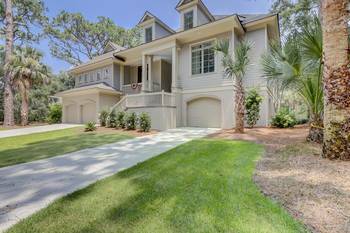 While most of Hilton Head Island’s plantation communities are gated, this area is free for owners and quests to come and go as they please. Dozens of shops, boutiques, and restaurants are within walking or biking distance. Not only does Forest Beach have an easy-to-find location but many of the island’s amenities are within a stone’s throw. South Forest Beach has lots of condominium complexes in a wide range of price points, from a Spartan efficiency unit to a beautifully furnished 3 bedroom oceanfront flat or penthouse in Sea Crest. In North Forest Beach most of the land was developed as single family homes. 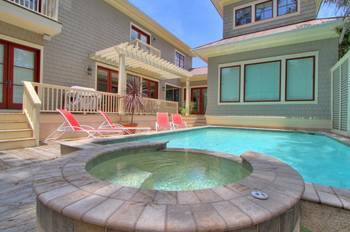 However, there are three “beachside” villa complexes in North Forest Beach- Breakers, Sea Crest and North Shore Place. 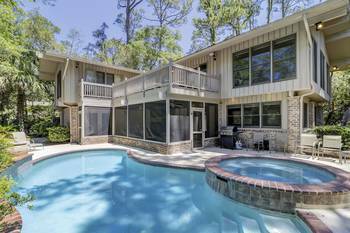 South Forest Beach has more condo complexes oceanfront, Ocean One, Beachwood Villas, Shorewood, Sea Side Villas, Ocean Club, Hilton Head Beach Club, Carolina Club and Ocean Dunes, although some units may not have direct views of the ocean. Across South Forest Beach Drive are many other villa complexes that are still within short walking distance from the broad strip of public beach. Along short roads connecting South Forest Beach Drive with Cordillo Parkway are many more villa clusters. 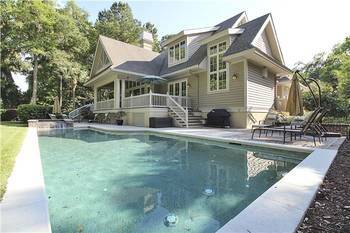 Some of these offer the additional appeal of on-site tennis courts. Van Der Meer Tennis Center is an internationally famed teaching facility popular with those who want to work on their skills with professional instructors. 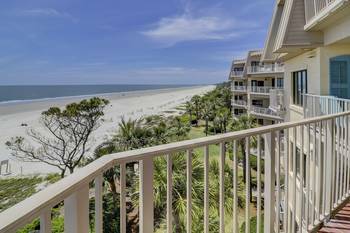 At the center of this area is the Coligny Beach Park where you can rent beach umbrellas and chairs, play beach volleyball, or just relax and enjoy the sand and surf. Numerous water sports, such as sailing, kayaking, and paddle boarding, are only a few of the many options owners and guests to the area have. Just down the street from the Coligny Circle is Pope Avenue, where even more shops and restaurants can be found. Although the Forest Beach area has no golf courses of its own, Hilton Head Island’s many golf amenities are just a short drive away. Near the Forest Beach area are two popular, well-respected tennis facilities: the Van der Meer Tennis Center on DeAllyon Avenue and the Shipyard Racquet Club. The nearby Players Club Resortalso has accessible tennis courts. Live in Paradise! 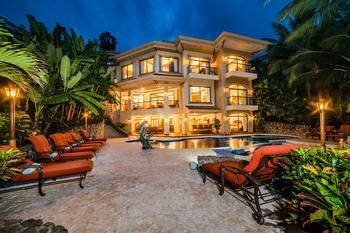 If you’re searching for ocean front villas, or those with close proximity to the beach, you’ll find them here. 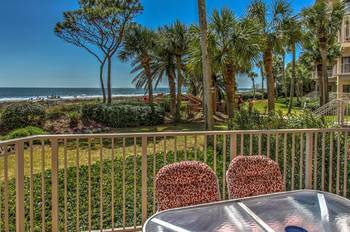 Forest Beach Hilton Head offers so much.We look forward to helping you find a condominium or villa for a residence or a rental that you will adore!